The classic comedy turns 25 years old this month. Released on 12 February 1993, one of the greatest comedies of all time was released in cinemas. Telling the story of Phil Connors, a diva-ish weather reporter who finds himself reliving the worst day of his life over and over again, until he sees the errors of ways and becomes a better man. 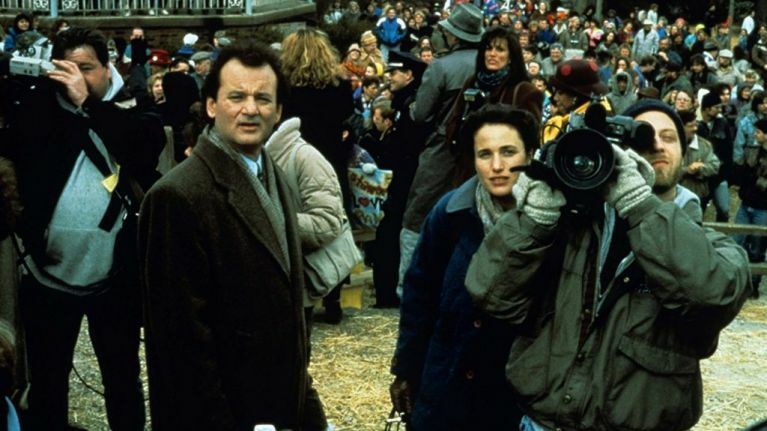 Groundhog Day was the fifth collaboration between star Bill Murray and writer/director Harold Ramis, following other much-loved comedies like Caddyshack, Stripes and Ghostbusters, and it proved to be hugely successful, as the $15 million production made over $70 million in the States alone. However, it was ultimately the reason why this dream comedy team completely dismantled. Additionally, Murray was bitten no less than three times by the groundhog during his scenes in the car-chase, which resulted in the actor getting anti-rabies shots. Later in the movie, Murray and MacDowell get involved in a snowball fight with some local kids, but Ramis had informed the kids to whip the snowballs as hard as they could at Murray, which he also probably didn't hugely enjoy. None of these caused the end of Murray and Ramis' friendship and working relationship. Instead, it came down to the film itself. 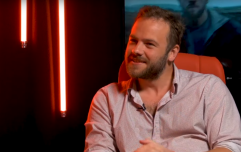 Ramis wanted to make a comedy, but Murray wanted a more serious, philosophical (Phil-osophical? "Get. Out." - Ed.) take on the subject. Once the movie came out, and it was clear Ramis had got his way, Murray cut all ties for 21 years. During the filming of the movie, Murray's marriage was falling apart (he would eventually divorce his first wife Margaret Kelly in 1996) and there were reports that he was becoming increasingly difficult to work with on set. Ramis told The New Yorker: "At times, Bill was just really irrationally mean and unavailable; he was constantly late on set. What I’d want to say to him is just what we tell our children: 'You don’t have to throw tantrums to get what you want. Just say what you want.'" Murray never spoke of the situation in interviews, but Ramis was incredibly open about how the situation had hurt him, telling The A.V. Club: "I’ve had many dreams about him, that we’re friends again. There was a great reunion feeling in those dreams. Bill was a strong man. He was a rock for us. You’d do a movie with Bill, a big comedy in those early days, just knowing he could save the day no matter how bad the script was, that we’d find something through improvisation. "That was our alliance, kind of, our big bond. I could help him be the best funny Bill Murray he could be, and I think he appreciated that then. And I don’t know where that went, but it’s there on film. So whatever happens between us in the future, at least we have those expressions." It wasn't until Ramis was diagnosed with Autoimmune Inflammatory Vasculitis, and was essentially confined to a wheelchair from 2011 onwards, that things changed. Ramis' last movie was Year One, released in 2009, and eventually Brian Doyle Murray convinced his brother to visit the director on his deathbed. Following Ramis' death in 2014, Murray issued a statement: "Harold Ramis and I together did the National Lampoon Show off Broadway, Meatballs, Stripes, Caddyshack, Ghostbusters and Groundhog Day. He earned his keep on this planet. God bless him." But perhaps this biggest indication that Murray finally put the feud behind him. When the Groundhog Day musical debuted on Broadway in 2017, Murray went to see it and was moved to tears during the performance, as the New York Times reported him saying when the show was over: "The idea that... (Mr. Murray trailed off, trying to collect his thoughts)... The idea that we just have to try again. We just have to try again. It’s such a beautiful, powerful idea." 25 years later, that message is still true, and Groundhog Day is still incredibly funny.